The billion dollar Amazon.com headquarters construction deal, which promises to bring 25,000 jobs to New York City, could be crumbling because of political opposition, according to a report. The Washington Post, which is owned by Amazon.com CEO Jeff Bezos, credited executives at the company saying they are reconsidering bringing the project to the city. “The question is whether it’s worth it if the politicians in New York don’t want the project, especially with how people in Virginia and Nashville have been so welcoming,” an anonymous source familiar with internal discussions told the newspaper. Mayor de Blasio, who along with Gov. Cuomo, negotiated the deal that would give the online retailer about $3 billion in tax breaks and sate and local subsidies, said he was confident the deal would go through. “The Mayor fully expects Amazon to deliver on its promise to New Yorkers,” de Blasio spokesman Eric Phillips said. Amazon also indicated that the deal was still on track. The deal has faced a barrage of criticism from local and national politicians, including state Senator Michael Gianaris, who has argued that one of the nation’s richest corporations should not be getting tax breaks from New York taxpayers. The Queens senator had previously signed a letter asking the company to build its headquarters in New York. The state Senate recently nominated Gianaris to the Public Authorities Control Board, which has veto power over a $500 million construction grant that was part of the construction deal. Councilman Jimmy Van Bramer said he’d heard the deal might be on the ropes earlier this week. “I had heard a few days ago from someone who was a big supporter of the deal that they thought that it could be in some trouble,” Van Bramer said. While some have speculated the story might be a power play by Amazon — or even the governor — Van Bramer thought the deal was “in trouble.” And if it was some kind of a strategic move, he argued it was a bad one. “I think there’s a possibility that this is gamesmanship and they’re trying to call a bluff — but we’re not bluffing. If in fact it is an attempt to call a bluff, it’s yet another strategic blunder in a series of blunders that the governor, the mayor and Amazon have committed since they announced the deal in November,” Van Bramer said, arguing to even suggest they might pull out “shows weakness’ on the part of Amazon. “We had a choice here, which was to lay down and go along with something and see what we could get out of it or we could take on the richest man in the world, the governor of the State of New York, the mayor of the City of New York, and we decided to fight, and they did not anticipate how strong we would come for them, and they did not understand the power of the organizing that we were going to do against this deal,” he said. “I think the mayor in particular and the governor have been caught flat-footed. I think Amazon seemed shell-shocked at the hearings and I’ve been shocked at how ineffective they’ve been in not just selling the deal but in responding to the criticism,” he said. Cuomo dismissed the Washington Post story, saying it would be political suicide to kill the deal. New York offered a less competitive package than many other cities across the country during the company’s nationwide search for a second headquarters, the governor said, but the company wanted to come to the city. Cuomo said that the project, which has about 70% support in the local area, is not in jeopardy, but if it doesn’t go through the local politicians could face a backlash. “I would not want to be a Democratic senator coming back to my district to try to explain why we lost it,” the governor said. Rep. Alexandria Ocasio-Cortez (D-NY) crowed over the Post report, calling it a win for grassroots activism. Only in NY would decent jobs be rejected. I guess NY has now become the CA of the east coast. IMO they’ve been the CA of the east coast for years..
*** Bezos demands to have his trillion dollar empire subsidized with hundreds of millions of middle class taxpayer dollars in order to locate his headquarters. And yet, he’s supposedly a supporter of liberal politics. He exploits liberal politics. He buys liberal politicians. Until recently, he was paying his employees the bare minimum, requiring them to live on government subsidies, enabling Bezos to reap more billions. This article does a better job of explaining the deal. The money is phased in over time, and is keyed to Amazon meeting its goals of job creation. They expect to bring in an additional 27B in tax revenue over the next 25 years. Basically, every 8 years NY pays in 1B and gets 9B back in tax revenue. Even if they don’t get a dime of corporate tax from Amazon proper, they still make out like bandits. This is an amazing deal, and I wish my city was hosting it. But then if Bezos is blowing smoke and the jobs don’t materialize, the funding is cut off. But even if Amazon employees pay that much in taxes for 3 years, it pays itself off. So NY should be asking if they want the extra tax revenue, rather than if Amazon deserves the tax breaks. This is why i hate ANY FORM OF tax breaks given to ANY Company to ‘move to state X’. IMO THOSE COMPANIES SHould be paying for the PRIVILEGE of being in a state. NOT THE OTHER WAY AROUND. Usually they get a deal on the land as well. Another way to look at it is that one of the nation’s most socialist cities should not be getting jobs from a capitalist corporation. Other places like Nashville and apparently several regions in Virginia are smart enough to see the overall benefit to the community by giving a tax break and in turn getting thousands of high-paying jobs. The people working those jobs will of course pay taxes and pour money into the local economy, creating a net windfall. This is the problem with socialists. They want EVERY dollar. They can’t understand compromise and making a deal that benefits everyone. They’d rather use the heavy hand of govt to force every last dollar out of “the rich” than look at things logically and construct a mutually beneficial solution – one which was already there on a silver platter. No creativity needed, just say yes. They only care about their own benefit. They lack understanding and are uncompromising in their quest for ultimate control. 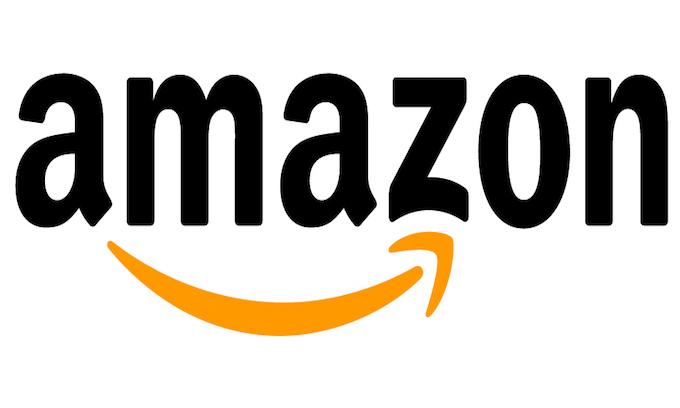 If Amazon wants to expand their business somewhere that is up to them and assume they would still do so if all states & localities refused to give tax breaks to any new or expanding business. Don’t think new start-up businesses in localities are usually offered tax breaks, so why would tax breaks be given for a business to expand? Amazon being mainly online business should base expansion location on factors like crime rates, cost of living, available work force & business climate and not on coercing the most tax breaks from an otherwise qualified location. Sounds like Bezos in favor of a little arm-twisting, extortion & blackmail if he is one doing it. Exactly.. I know of 3 stores recently that had to SHUT because of having too high of a cost for running them, due to high *** sales/property taxes and the like. WHERE WERE THEIR TAX BREAKS?! Bribes and more bribes, I suspect congress is behind this somewhere too. So, the whole impeachment thing is not happening, now? Best news out of New York ever! On Gilligan’s Island, if it was just a three hour tour, why did they have so many outfits? Whoa! “They”? Let’s look again. Gilligan, and The Skipper too, wore the same boring attire suitable to their worker class status and occupation, unless coerced into a power grab scheme, of one sort or another, by the upper class passengers (often being humiliated in the process). Please don’t include our Little Buddy and The Skipper in any they group, unless it’s in an affirmative reference to The Skilled Help. As far as the empowered passengers, they all packed like Michelle Obama or other member of the Politburo heading to Sandals for a month. I suspect they all had Party connections since they never talked about it among themselves in all those years. But the question why is a good one. Like why do the internets still insist on retouching satellite photos of earth to make it appear round? You done gave me a lot to chew on.